Inheritance tax involves numerous complex rules and regulations, but could result in drastic cuts to what you leave your loved ones. Even for this reason alone, it is vital to talk to a financial expert about how to face these potential risks. 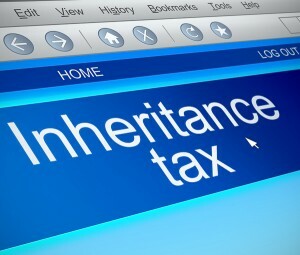 Current legislation states that an inheritance tax of 40% must be paid on the amount you family inherits that is above £325,000. This means that if the total sum of your estate comes to £425,000, your family could face a hefty tax of £40,000. There have been recent changes to lessen the negative impact of inheritance tax, with the Chancellor changing the threshold to £650,000 for married couples – but only if everything is left to their partner upon first death. Though this is a step forward, it still doesn’t help a huge number of families who could suffer huge financial losses during an already traumatic period of grief. Tackling the issue of inheritance tax is extremely difficult without expert advice, but Taylor Hall Financial Services can help by working with our preferred partners to devise a solution that suits you. Arrange a free consultation with us to discuss your situation and how we can help you save the amount your family loses with a special Inheritance Tax-Saving Will.